CCMTEC governs all the Educational Institutions under the Chinmaya Education movement. In 50 years, over a million students have graduated from the Chinmaya Education Institutions. Presently, more than 1,00,000 students are studying in them. They are guided by a dedicated team of over 6,000 faculties and are ably supported by about 1000 administrative staff. Every year, more than 20,000 children join the institutions and about the same number pass out as young men and women of high character and integrity. This vast network of the Chinmaya Educational Movement thus, significantly nourishes the global Chinmaya Family and the society at large. 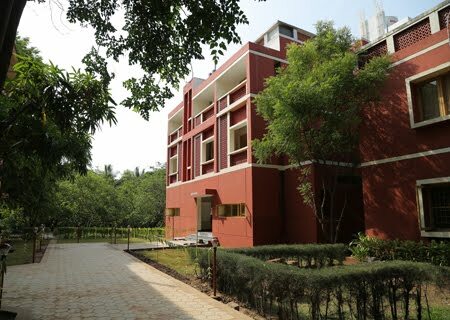 The Chinmaya Educational Institutions are affiliated to universities and international (International Baccalaureate – IB), central (CBSE, ICSE etc.) or State Boards of Education guaranteeing high quality education. They have excellent infrastructure with up-to-date equipment which enables effective teaching. Schools in the rural areas cater to the needs of the local people. These institutions are headed by inspired principals, dedicated teachers, supportive management and co-operative parents. Co-curricular and extra-curricular activities form an essential part of the learning process. Needless to say, these quality institutions produce toppers in various fields. Pujya Guruji Swami Tejomayananda has gifted the viyalayas with the Vision “Knowledge , Service and Efficiency” with an aim to achieve the three fold noble goal of Education vision, spirit of service and efficiency. It removes our ignorance, false notions and wrong attitudes and bestows (us with) Truth and Wisdom. Keep Smiling - Inner equipoise expresses as a smile outside. The Chinmaya Vidyalaya prepares students with an inner equipoise to face all challenges of life with a smile. "Hari Om", coupled with a namaste and a smile, devoting humility, respect, love and job in meeting others. What makes our Institutions as “Schools with a Difference” is the CHINMAYA VISION PROGRAM conceived by Pujya Swaminee Vimalananda where the Child is focal point. Pujya Swaminee Amma believes that if a man’s vision is narrow & disturbed, the world also seems filled with strife. If the vision Is broad & love filled, so too is his world.